When making an exciting and new large purchase in life, figuring out finances can be a stressful and difficult process. When it comes to planning for the purchase of a pool, we believe that smart and healthy financial decisions can allow you to enjoy the process AND the product. Financing can be one of the most important decisions you make when building or remodeling your backyard into what you’ve always wanted it to be and that’s why we want to talk you through the basic information necessary to get the ball started on making smart decisions with your money that can save you time and hassle in the long run. 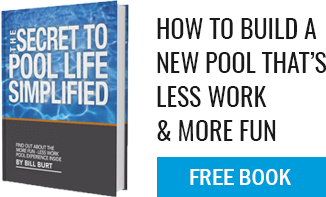 The first thing to know is that there are many different ways to finance a pool. This is the most typical route to pool financing. Home equity loans are issued through your home bank and are often standard home equity lines of credit. This means that the line of credit comes from the money or equity that you have built up through payments on your mortgage. They often carry a very low interest rate and are thus a popular option. Another popular option when getting together financial resources to build or remodel a pool, is to refinance your home. This means that you take money out of the principle balance on your home and refinance with a different interest rate. It’s a great option as well since you are using money that you already have!